This is the second part of a series of self-portraits. They are made of what remains after consuming kilograms and kilograms of melons and apples. 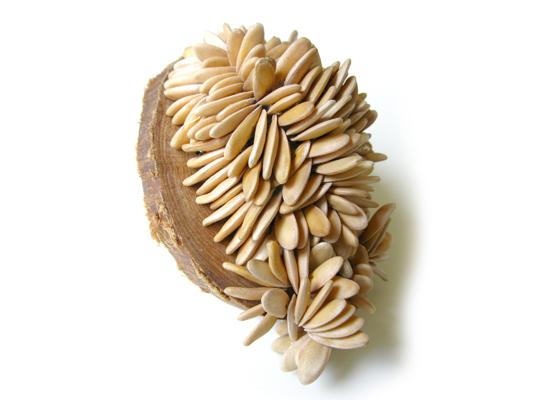 Collecting and sewing the seeds together was a time consuming process. It made me appreciate the different shades and texture of different pips and it made me hate seedless watermelons. 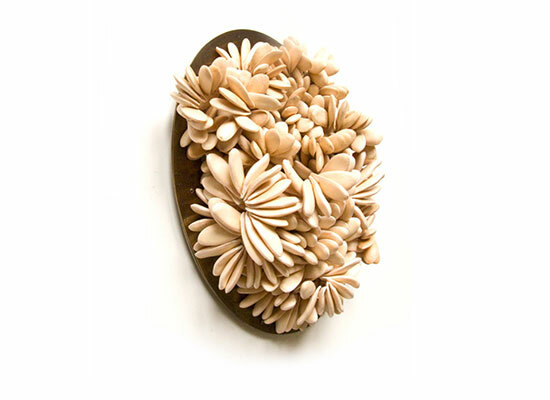 Brooch, 2011, galia melon seeds, rowan wood, aluminium, silver, steel. 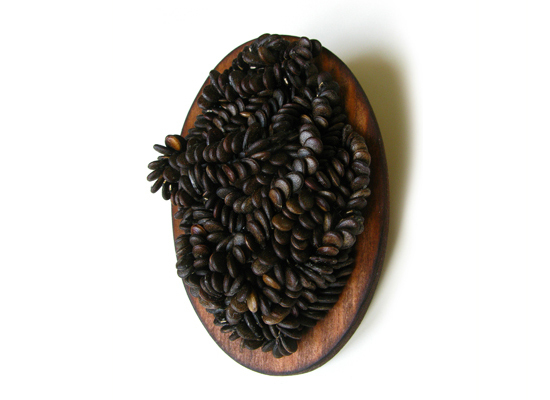 Brooch, 2011, water melon seeds, birch wood, aluminium, silver, steel. 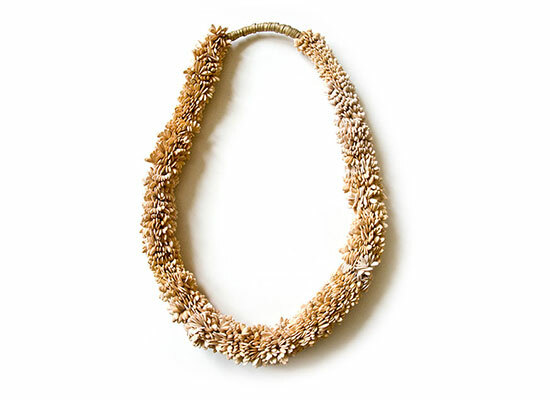 Necklace, 2012, galia melon seeds, textile, brass. 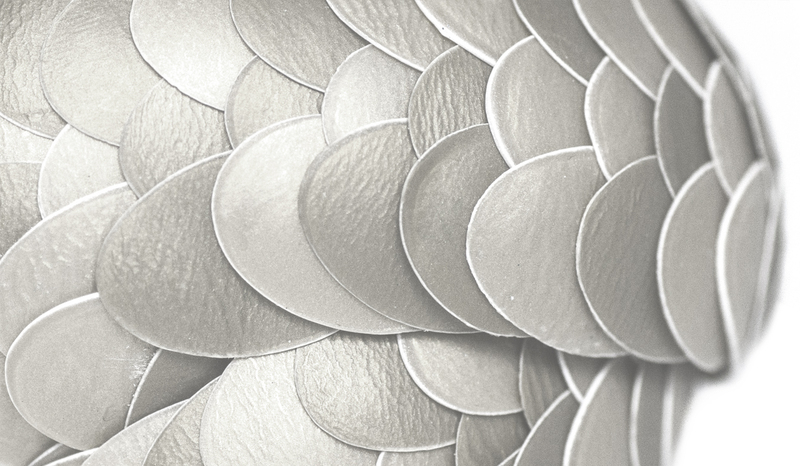 Brooch, 2012, galia melon seeds, titanium, aluminium, silver, steel.